Priscilla works at Stal Zegwaard since 2005. She is mainly engaged in breeding, arranging pedigree related business, shows and selling and buying horses. She also regulates all media affairs, such as the Facebookpage and advertisements. She spents her time mostly in the office, but is also occupied with preparing the horses for shows. Bas van Leusden arranges just about anything for Mr. Zegwaard. He is the handyman of the stable and in case there is something, he is there for you. He is good at multitasking and recognizes problems immediately. He likes to attends shows, even though he says he doesn’t! When Emma was a little girl she always came to Stal Zegwaard on her bike with a bag full of brushes. Nowadays, she works one weekend day at our stable and she often goes with us to shows. Emma also makes all the beautiful pictures of our miniature horses (Emma Doorduyn Productions). Junyfer always attends our shows and tests. It does not matter where the shows are, Belgium or Drenthe, she always goes along. Since recently, she also walks the horses for Stal Zegwaard during AMHA shows. Kim makes sure that the accomodation of Stal Zegwaard always looks perfect. She determines a large part of the daily routine on the stable. She makes sure that the horses go to the farrier and are dewormed in timeand arranges the inseminations. Kim works since 2007 at Stal Zegwaard. 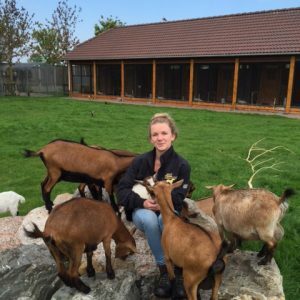 Naomi started at Stal Zegwaard as an intern. Since she is the best intern we have ever had, we could not let her go. Now she works for us on call. This means that she works for us about two times a week. She also often goes with us to shows. 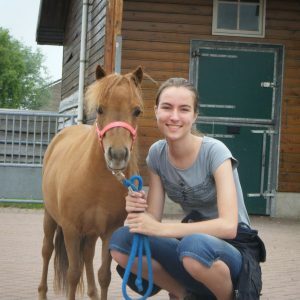 Wendy is one of the stable workers of Stal Zegwaard. In addition, she is mainly concerned with the poultry. We Wendy is our chicken expert and immediately notices it when a chicken is not feeling well. She works for Stal Zegwaard since 2006. 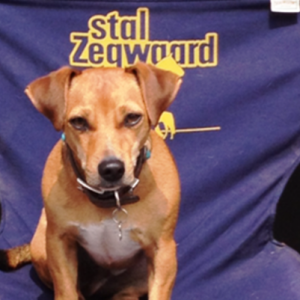 Billy is Priscilla’s dog and the mascot of Stal Zegwaard. He is always happy and gets along well with all the miniature horses. He likes to go with us to shows and loves the attention he gets from all of our employees. He is for goodluck! In the 1990’s, Mr Zegwaard imported a number of the best miniature horses in the world to the Netherlands. He then started the stud which has grown to be one of the largest studs in Europe for the professional breeding of miniature horses. 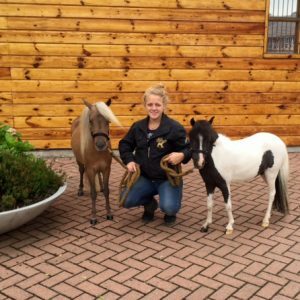 There are currently 180 miniature horses at Stal Zegwaard, including the Falabella, American Miniature Horse (AMHA) and NMPRS breeds. Stal Zegwaard has had a number of memorable successes. 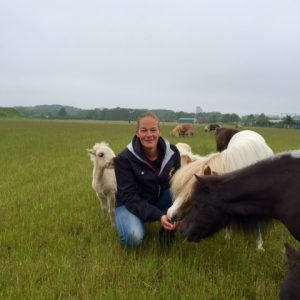 The yard had, for example, the smallest miniature horse in the world, called Mercador. Mercador is thus in the Guiness Book of Records. 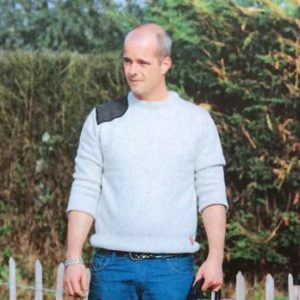 Stal Zegwaard has an extensive stud. We have a large number of approved stallions at our disposal. Each year a number of foals are born that, following an extensive selection, satisfy all the quality requirements. These foals are sold or loaned out throughout the world. We are of course at your disposal should you wish for any advice when selecting the perfect stallion for your mare. As well as the stud, it is also possible to loan an approved miniature stallion from Stal Zegwaard. If you are interested in this, please feel free to contact us. 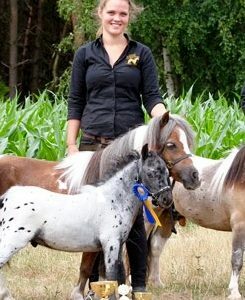 Stal Zegwaard’s miniature horses are always the crème de la crème at shows. 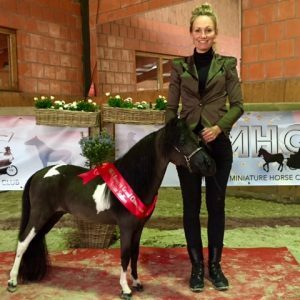 The inspections are not just limited to The Netherlands, our miniature horses also perform well at international shows.